A slight fever early in the pregnancy is probably not a problem, but a high fever (more than 39 ° C) can be dangerous for the baby. The physiological processes in the early development of the baby, such as the protein activity, are temperature-dependent. The development of the baby depends on the supply of the right proteins at the right time, a considerable fever can completely disrupt this. Later in pregnancy, when the baby is growing, fever is not so much a problem unless it is caused by an intrauterine infection. If you are not sure, always consult your doctor. During routine checks, your doctor looks at signs of depression. If you have a mild to 'normal' depression, start with psychotherapy. If you are no longer able to do normal daily things due to your depression, you can get medication. Antidepressants for pregnant mothers appear to be safe. Untreated depression can have serious consequences, ie - it can be difficult for you to bond with the baby. So do not hide it and take action if you think you have a depression. If you have never had chickenpox before, it is unwise to be around chickenpox while you are pregnant. If you get chickenpox during pregnancy, you become sicker than usual, and you have a greater chance of getting lung diseases. In the first trimester, the risk of birth defects is also higher. If you have had direct contact with someone (child, partner) with chickenpox you should ask your doctor, within a few days, for `varicella immune globulin`, which combats the development of the disease. If you are already at a further stage, there are medicines that try to relieve the disease. The use of the painkiller / fever inhibitor ibuprofen is not recommended in the last trimester. Iboprufen and other painkillers can have very serious consequences for your baby's heart. It can also thin the blood. Consult with your doctor if you want to use this medicine during the first six months of pregnancy or if you want to become pregnant. You have a little more chance of miscarriage or congenital abnormalities with the baby. The chance of this is very small, but increases with a higher dose and with prolonged use. If you use this medication, you also have a slightly lower chance of becoming pregnant. This medication is only recommended during pregnancy if the painkiller paracetamol is inadequate. Ibuprofen can be taken if you are breastfeeding, but paracetamol is preferred. Use ibuprofen only if there are no other options. Preferably on the advice of a doctor or midwife. The total maximum dose of ibuprofen per day is 1200mg, spread over three (i.e., 3x400mg) to four (i.e., 4x200mg) doses. Preferably take it right after feeding, because Ibuprofen can pass to the breastmilk. You can use paracetamol to a limited extent. This means no longer than one week in a row and no more than four tablets (2 grams) per day. It has been used in that dosage for years by pregnant women, without harming the child. If you need more than four tablets per day, talk to your doctor first. If you need long-term paracetamol, for example longer than a week, consult your doctor first. Paracetamol may be taken to a limited extent during the breastfeeding period. The total maximum dose of paracetamol per day is 4000mg (some doctors even recommend a maximum of 3000mg during the lactation period). Spread the medication over four (i.e., 4x1000mg) to six (i.e., 6x500mg) intakes. Preferably take your dose right after feeding, as it can be passed along in breastmilk. Also be aware that paracetamol can make your child sleepy and / or drowsy. 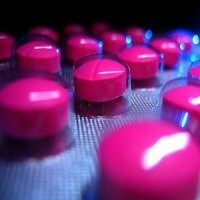 If you need paracetamol longer than two days in a row, talk to a doctor first! A treatment against wrinkles in your face means that by means of 3-5 injections a substance is put in your skin (botox). Botox is only available on prescription and is not given to pregnant women or if you are breastfeeding. If you plan to become pregnant soon, it is also not recommended. The amount of blood during a pregnancy increases by about 50 percent. Extra blood is needed to feed your placenta and your baby. If you give blood, you reduce the amount of oxygen you can give to the baby. No blood bank will let a pregnant woman donate. Vaccination of children is generally safe during pregnancy. However, vaccination against chickenpox and measles must wait until after pregnancy. Make clear before the vaccination that you are pregnant, and ask if the vaccination that is done is compatible with your pregnancy. Before purchasing, ask your pharmacist whether the medicine is safe to use during pregnancy. Read the instructions carefully, and ask how often you can use it as a pregnant woman. Too much stomach acid inhibitors can lead to constipation. However, this is not harmful for the baby. Small aches and headaches are common complaints in pregnant women. Rest and relaxation techniques can reduce them. If nothing seems to help, ask your doctor which painkillers he can safely prescribe. Read more about headaches. Do you have any more questions about the use of medication during your pregnancy or breastfeeding? Contact your doctor or pharmacy.